Some of Sega's best games are coming to Xbox Live and the PlayStation Network, with Sonic Adventure and Sonic Adventure DX being the latest confirmations. Sega just can't seem to keep any secrets these days. 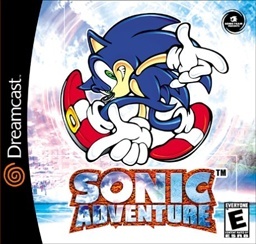 Last week, we figured that beloved Dreamcast title Sonic Adventure was coming to Xbox Live when it was when the Korean Ratings Board revealed that Crazy Taxi and Sonic Adventure had received ratings (which means that most other countries across the globe are likely to receive them, too, since South Korea is often overlooked when it comes to DLC titles). This is now confirmed thanks to the ESRB, which has provided ratings for both Sonic Adventure and Sonic Adventure DX on Xbox Live, the PlayStation Network, and PC. Unsurprisingly, the ESRB has rated both Sonic Adventure and Sonic Adventure DX E for Everyone. 360 Gamer, a UK magazine, has already reviewed the game and given it a mediocre 5/10. Meanwhile, the ESRB doesn't have a listing for a new version of Crazy Taxi. What's weird about this whole situation is that Sega has yet to actually announce that any of these games are coming, and the company hasn't commented on the leaks, either. Gamers still view the Dreamcast with a great deal of fondness and have been clamoring for re-releases of their favorite titles from that console. Accordingly, it makes little sense that Sega would remain quiet about how it's doing what its fans actually want, especially after Bionic Commando's rebooting was such a letdown last year. If we're lucky, Sega will announce that it's got a ton of other Dreamcast games coming to the current generation of consoles. I would happily purchase copies of Jet Grind Radio, Space Channel 5 and Ecco the Dolphin. I'd also happily pick up the arcade version of Michael Jackson's Moonwalker if it was ever released. What about you? Which of Sega's games would you like to see re-released for download?